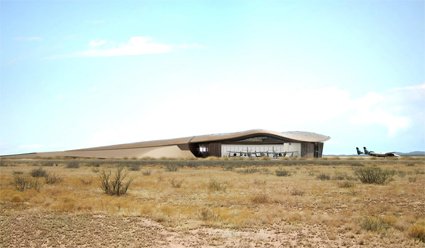 New Mexico broke ground for Spaceport America yesterday. Spaceport America is going to be the first spaceport built specifically for commercial space tours and space travel. A few weeks ago, I wrote about Virgin Atlantic offering trips to space for $200,000 per ride. 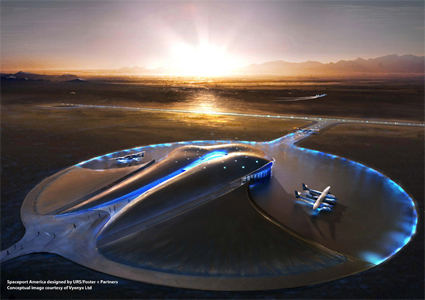 Spaceport America is where paying customers will take a flight into Earth’s low orbit. The New Mexico state government is funding the entire project, and it is estimated that the Spaceport America project will cost $198 million. But it doesn’t stop there. Richard Branson and Virgin Galactic are also investing $300 million to develop a space launch system on the site. And don’t fool yourself into thinking they are not going to make money. According to Virgin Galactic President Will Whitehorn, the company already has 300 space flights booked! That’s right. Here we are in the midst of a wrecked economy, and there are 300 people willing to spend $200k per person to take a trip to space. Gosh. I wonder what it’s like to have that kind of money. But more power to them. We need more demand to drive the price down. And if there is a profit to be made, more companies will enter this market, creating more competition, supply and lower prices. Maybe in the future I will be able to take a space tour! Go economics-based reasoning! Where is Spaceport America exactly? Well, according to all sources, the simple answer is: it’s out in the middle of nowhere in the New Mexico desert. 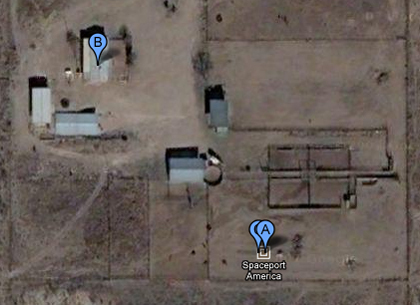 But more precisely, Spaceport America is near Upham in Sierra County, New Mexico. That’s about 30 miles east of Truth or Consequences, NM and about 45 miles north of Las Cruces, NM. Also, the Spaceport America facility is close to the perimeter of the White Sands Missile Range. That’s odd to me. Planes bound for low orbital space will be taking off near a missile range. Are you kidding me? I hope those two places are on good speaking terms.